I don’t always have the opportunity to make lunches for Jackson in Young 5’s, so when I do, I really enjoy it. When it’s more of a regular thing for kindergarten next year (!!! ), I may change my mind. We also like to pack lunch to take to the Zoo or the Children’s Museum when we’re on a play date. It’s healthy, easy and Jackson always think it’s a real treat. When it comes to kids food, the brighter the better, or so it seems. Sandwiches are good, but isn’t a more visually appealing roll-up a little bit better? I’ve learned that if I want Jackson to eat something, especially something new, it has to be interesting in some way. Mixing up the way you prepare something like creating sandwich roll-ups, grapes on toothpick skewers or even round Babybel cheese (why are these so fascinating to kids? ), can definitely draw interest and encourage eating! When Jackson was a baby, starting solid foods, I read that if you offer your kids healthy foods, make it a habit and not talk about “bad” or “good” foods that they will naturally gravitate toward the healthy options. For us, that has absolutely been true. If Jackson has a plate with fruit, chips and a sandwich, the first thing he will eat is his fruit. He’ll also pick broccoli at dinner before anything else. So for lunch, we try to keep a healthy balance. He can definitely have some pretzels or chips, but I always have a fruit and veggie (favorites are grapes or little tomatoes) to go with them. One of my favorite school lunch tips is to add a cute note or a favorite treat to your kids’ lunches. Jackson has a current superhero obsession, so note and a couple of stickers he can put on his t-shirt are a little bonus to keep him smiling all afternoon. I’ve found that presentation is also clearly key in putting together a good kids lunch. We got this Bentology Bento Box Lunch Kit back in the fall and Jackson LOVES it. I like the little containers and sections for everything. 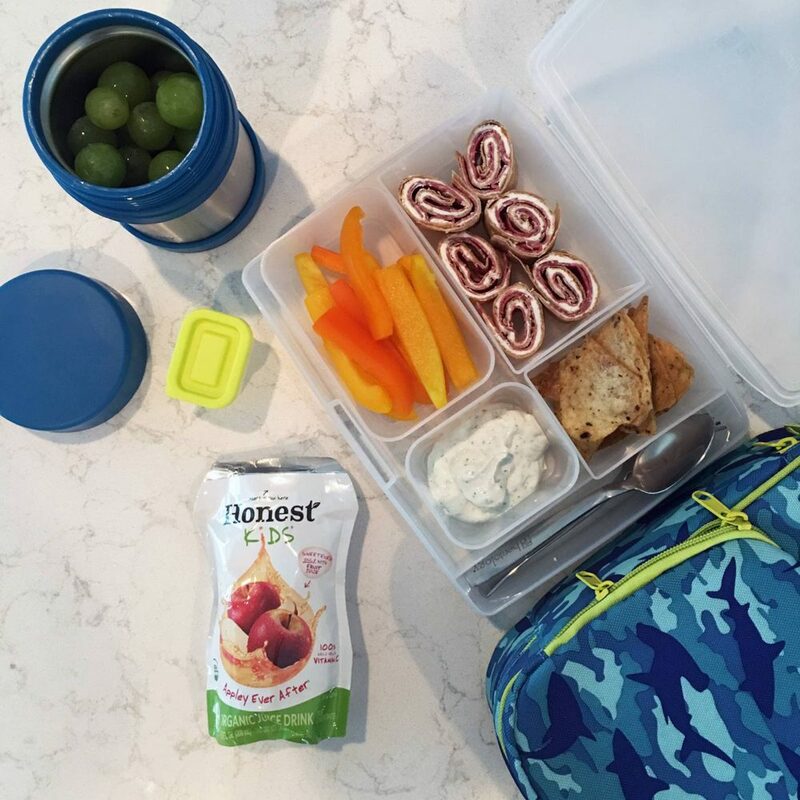 It makes it so easy to create portions and it helps me assemble healthy, colorful lunches that I know he’ll like. 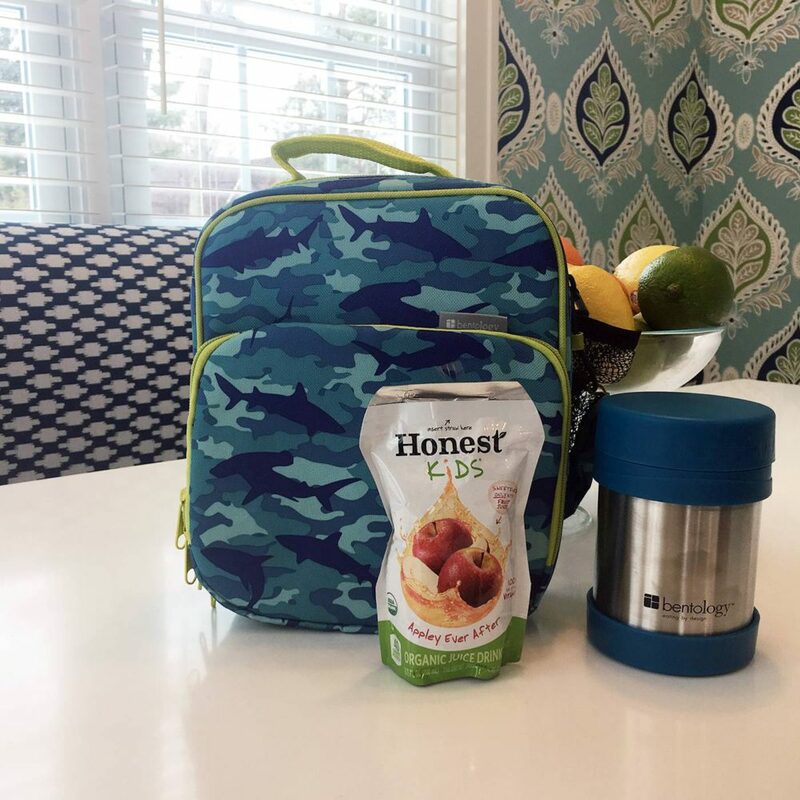 We’ve also used this for taking snacks on the airplane for traveling and it even works well for taking baby puffs and keeping the boys’ snacks separate. One of the other Bentology pieces we like is this Bento Jar. It keeps foods either cool or hot and this has been awesome for car snacks when traveling, it also has a good solid lid to prevent spills. And I’ve actually stolen this one myself for my drives to photo shoots and work projects! What are some of your favorite school lunch tips and combinations? I’d love to hear them! Love these tips! My mom used to make those sandwich roll ups for me all the time as a kid. I don’t have kids yet, but we will SO be getting this Bento box style lunchbox. Absolutely love it and your tips. I love your presentation for his lunches. 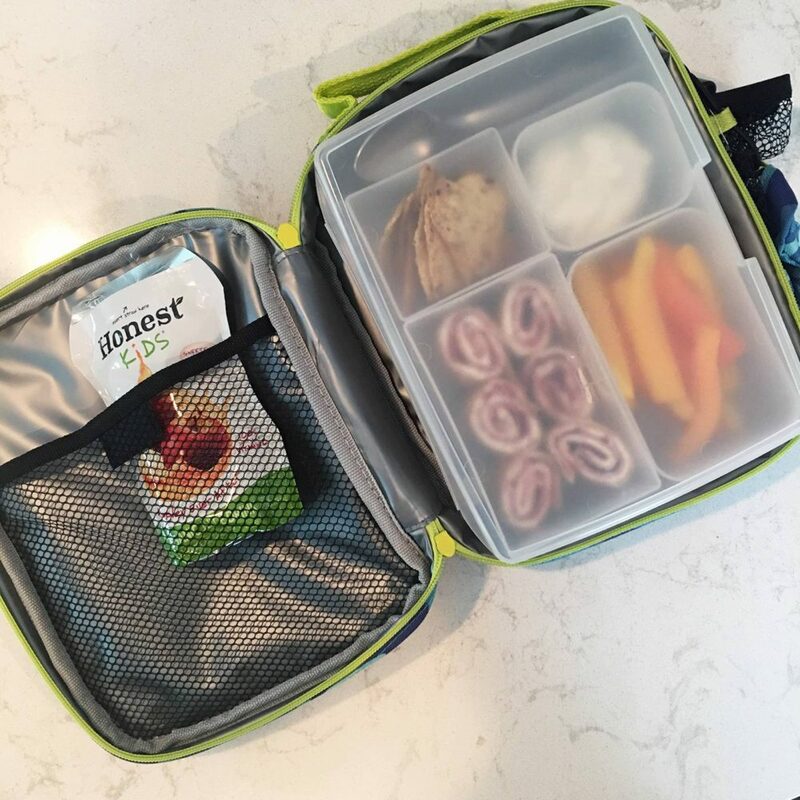 I pack my lunch for work most days and have a similar bento box and it has been great for portion control. I might need that lunch kit for myself!! haha – looks great! That Bento Jar is such a cool idea! Making school lunches more fun for kids definitely gives them an extra boost to enjoy eating their lunch. I love bento boxes. That is what I usually pack my own lunch in. My mom always made the best lunches when I was young. Miss those days! Great tips!! This is the kind of lunch my daughter Ava would love!! Love the organization in the lunch box! These tips are so handy! I’m loving the organization here. Such a fun lunch idea!! What a cute post! These tips are even helpful for making my fiance’s lunch for work, haha!